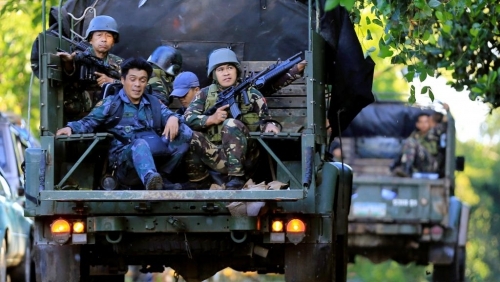 Mayhem broke out across the southern Philippine city of Marawi where militants besieged it and hoisted flags of the so-called "Islamic State." 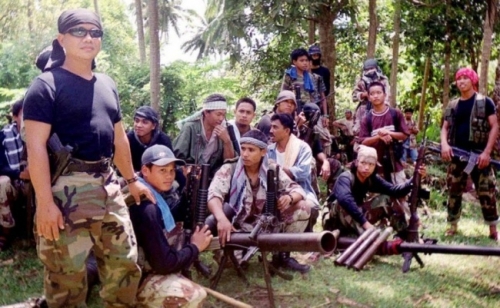 Located on the southern island of Mindanao, the city is only slightly removed from Al Qaeda affiliate Abu Sayaff's primary area of operation on nearby Jolo and Basilan islands. President Rodrigo Duterte declared martial law in the south because of the militants' siege on the city on Tuesday and abandoned a trip to Russia to deal with the crisis. The security crisis represents a seemingly inexplicable expansion of the Islamic State in Asia - even as the US and its allies claim the organization is being rolled back across the Middle East and its revenue streams are contracting in the wake of defeat. Both the Maute group and Abu Sayaff are extensions of Al Qaeda's global terror network, propped up by state sponsorship from Saudi Arabia and Qatar, and fed recruits via a global network of likewise Saudi and Qatari funded "madrasas." In turn, Saudi Arabia and Qatar's state sponsorship of global terrorism for decades has been actively enabled by material and political support provided by the United States. This arrangement provides for Washington both a global mercenary force with which to wage proxy war when conventional and direct military force cannot be used, and a pretext for direct US military intervention when proxy warfare fails to achieve Washington's objectives. The Philippine president, Rodrigo Duterte, cancelling his meeting with Russia is a microcosm of the very sort of results Maute and Abu Sayaff are tasked with achieving in the Philippines. Attempts by the US to justify the presence of its troops in the Philippines as part of a wider strategy of encircling China with US military installations across Asia would also greatly benefit from the Islamic State "suddenly spreading" across the island nation. For the same purposes the US used Saudi-funded terrorism in Afghanistan in the 1980s and in Libya and Syria beginning in 2011 - the US is using Saudi-funded terrorism to coerce the government of the Philippines amid Washington's faltering "pivot to Asia" which began under US President Barack Obama and now continues under President Trump. With US President Trump announcing a US-Saudi alliance against terrorism - the US has managed to strategically misdirect public attention away from global terrorism's very epicenter and protect America's premier intermediaries in fueling that terrorism around the world. The Philippines would be unwise to turn to this "alliance" for help in fighting terrorism both the US and Saudi Arabia are directly and intentionally fueling. Instead - for Southeast Asia - joint counter-terrorism efforts together and with China and Russia would ensure a coordinated and effective means of confronting this threat on multiple levels. By exposing the US-Saudi role in regional terrorism - each and every act of terrorism and militancy would be linked directly to and subsequently taint the US and Saudi Arabia in the hearts and minds of Southeast Asia's population. This paves the way for a process of exposing and dismantling US-Saudi funded fronts - including Saudi-sponsored madrasas and US-funded NGOs - both of which feed into regional extremism and political subversion. As this unfolds, each respective nation would be required to invest in genuine local institutions to fill sociopolitical and economic space previously occupied by these foreign funded fronts.